In a double bill at Sadler’s Wells, BalletBoyz demonstrate a group amity and common identity unlike any other company of their size. Founded by Michael Nunn and William Trevitt in 2000, the group has seen significant success across the UK and internationally, particularly in the USA. The dancers are very clearly ten individuals with unique skills and training but, as a company, the all-male ensemble displays a deep bond and a mutual language of movement. Their trust in each other has visible results. The two pieces presented premièred together in January 2013 and the group has toured them as a pair since. 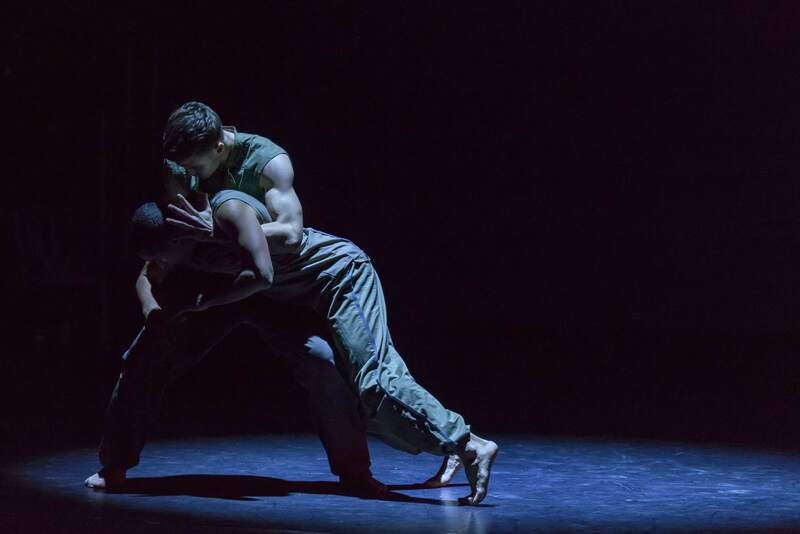 Serpent by Liam Scarlett and Fallen by Russell Maliphant were both choreographed on BalletBoyz – The Talent, and both use the company’s strengths to breathtaking effect. This is my sixth review for Bachtrack, I have recently been appointed as the dance & ballet representative at Bachtrack.com. Previous PostMichael Clark Company leaves audience speechlessNext PostDating Etiquette, period.